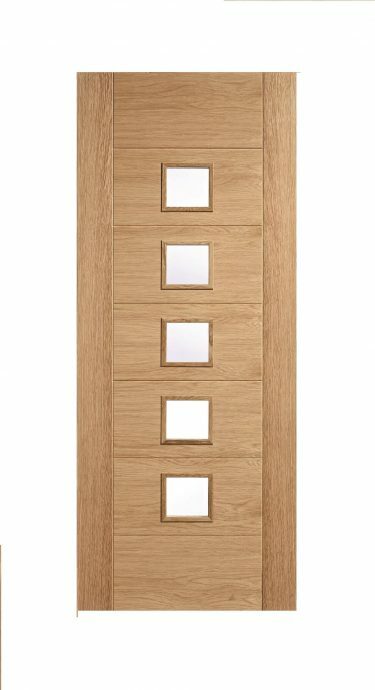 This door comes in an unfinished condition, constructed with particleboard core, 10mm matching timber lippings and faced with an oak veneer. 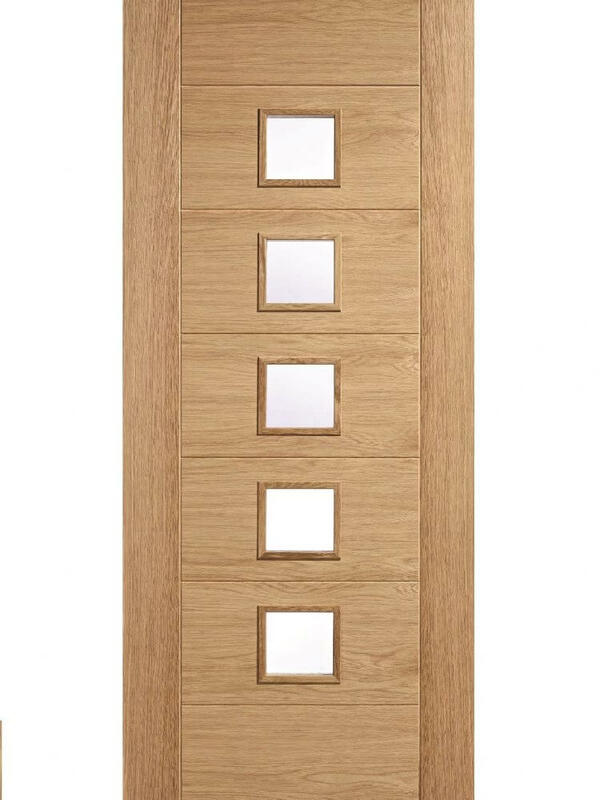 Full length side panels frame seven internal panels on this stylish internal door. The middle five panels feature clear glazing in a square in the centre of the panel.